Do you remember this block of South Hyde Park? 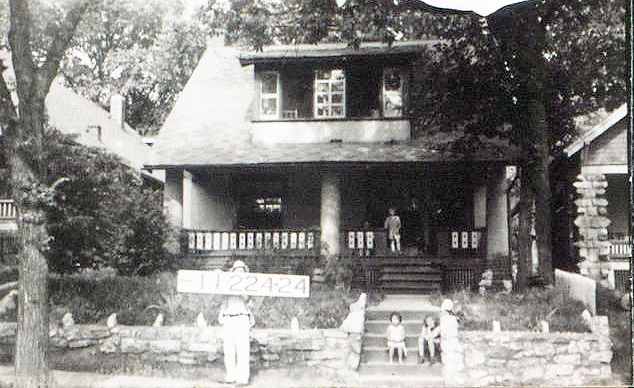 South Hyde Park appeared to be a neighborhood full of children, captured playing on porches, in front yards and exploring the neighborhood in a set of 1940 photos. These three seemed happy to poise for the camera that day at their home near the corner of 43rd and Holmes. Most of the buildings on the block were single-family homes, often bungalows. The exception was the luxury apartment building at the corner of 42nd and Holmes. 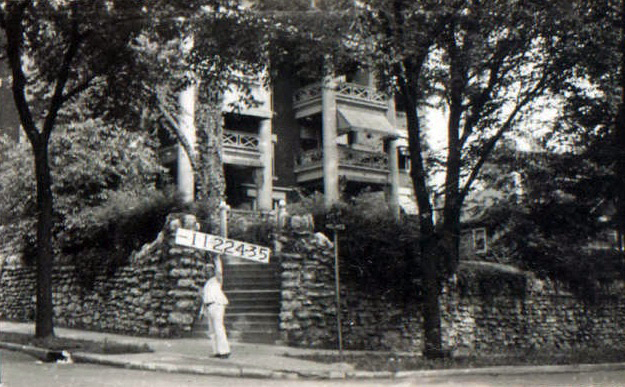 The South Hyde Park area of Midtown developed rapidly after 1905, spurred by new city water service and the expansion of streetcar lines to newly-built middle class homes. The block of today’s focus, from 42nd to 43rd, from Holmes to Charlotte, is composed of modest homes which still look much like they did when built more than 100 year ago. As part of our Uncovering History Project, the Midtown KC Post is taking a look at each block in Midtown, including a set of 1940 tax assessment photos which is available for many blocks. (Many people seem confused by the tax assessment photos, which all include a man holding a sign. Here’s the story behind them). Not much history has been recorded so far about this block. But looking at the photos from 1940, it is clear the area was a popular place to raise children. 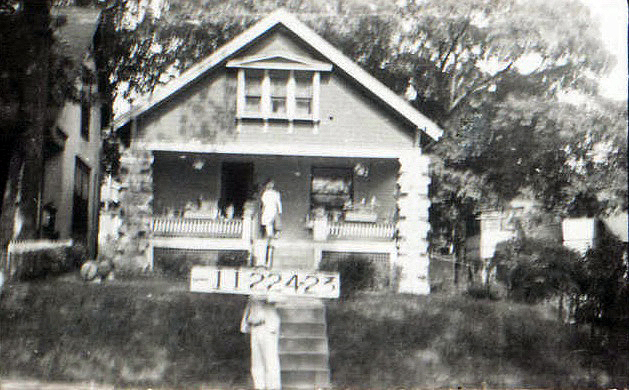 The slideshow below shows the rest of the houses on the block as they looked in 1940. Our book, Kansas City’s Historic Midtown Neighborhoods, is available now. Let us know if you want us to come to your neighborhood association or organization’s meeting to share what we’ve learned about Midtown neighborhood history and tell your members how they can help preserve Midtown history. If you’d like to order the book, email Mary Jo Draper at mjdraper@midtownkcpost.com.